When you talk about limited edition singles, the poster sleeve is another nice giveaway used by record companies to boost sales. 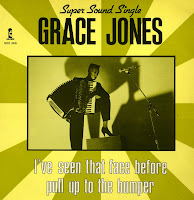 Grace Jones is probably the most unlikely poster girl around. The photograph on the cover of this single is replicated as a 21" x 14" poster inside, and although it is a provocative pose, I wouldn't exactly choose this as a decoration on my wall. The music, fortunately, is for listening, and listening well. 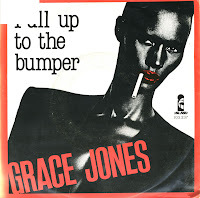 Both 'Pull up to the bumper' and 'La vie en rose' have been big hits for Grace Jones in 1981 and 1977 respectively, and this package sought to capitalize on the big success of 'Slave to the rhythm' in 1985. The strategy worked: this single got to number 12, which was the exact same peak position as 'Slave to the rhythm' a few months earlier. A deluxe cd version of her career-overshadowing album 'Slave to the rhythm' has still not been issued, so all we can do in the mean time is pick up all the releases and rip the tracks from vinyl. 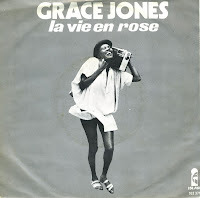 Such as this one, the 12" single of Grace Jones' album's title track. I couldn't find it for a long time, but I finally found a good copy today - and for a very reasonable price, too. The sleeve doesn't give you much information about the tracks contained on this disc, so I turned to Discogs.com for help. Fortunately, there is a decent listing for this disc. The 'blooded' version on the A-side is probably the best version of 'Slave to the rhythm' I've heard in a long time, as it adds much interesting things to the all too familiar single version. As for the B-side... Well, experimentation can be fruitful sometimes. 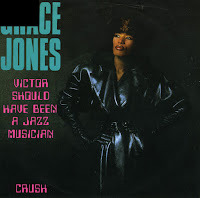 Nile Rodgers and Grace Jones produced 'Victor should have been a jazz musician', a track taken from her 1986 album 'Inside story'. 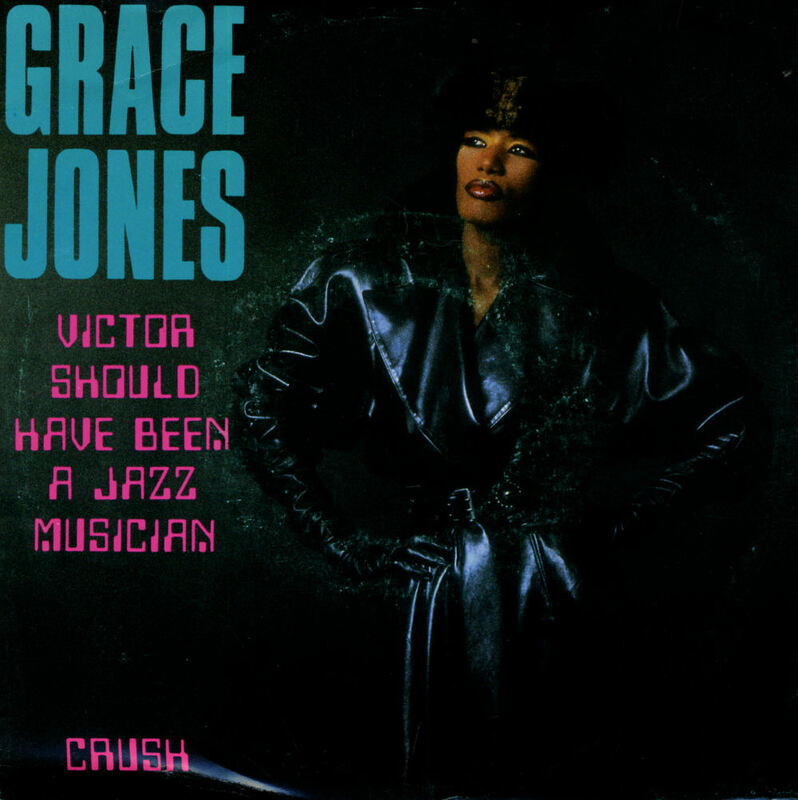 As the song title suggests, it saw Jones exploring new musical territories and the spoken opening line even refers to one of the late and greats of jazz: "I went to a Nina Simone concert...". The horns on the track were played by Lenny Pickett, Stan Harrison, Steve Elson, and Mac Gollehon under the collective name The Borneo Horns. The single reached number 35 in the Dutch Top 40, but failed to chart in other territories. 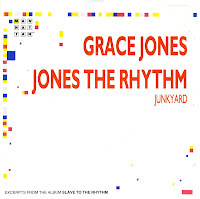 After all the sonic mayhem of the Trevor Horn-produced album 'Slave to the rhythm' (1985), Grace Jones returned in 1986 with the album 'Inside story', produced by Nile Rodgers and Grace Jones herself. 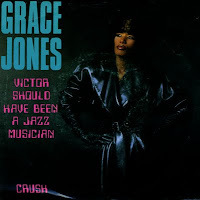 The single 'Victor should have been a jazz musician' is a far cry from 'Slave to the rhythm', as it's a slow jazz track. The single was successful in the Netherlands, where it reached number 26 in the Dutch Top 40, but it failed to chart in the UK. 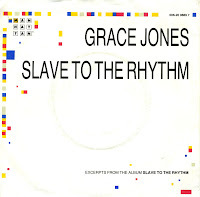 'Slave to the rhythm' was originally intended to be the second single of Frankie goes to Hollywood, as a follow-up to their number one hit 'Relax'. 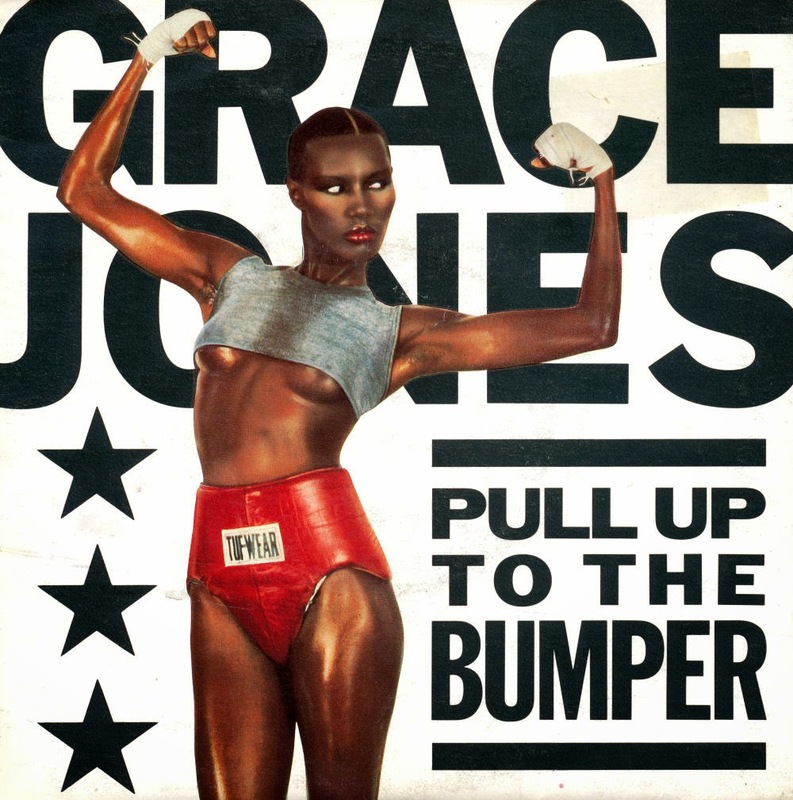 The song was assembled and produced by Trevor Horn after he worked on 'Two tribes', but the project was finally given to Grace Jones. 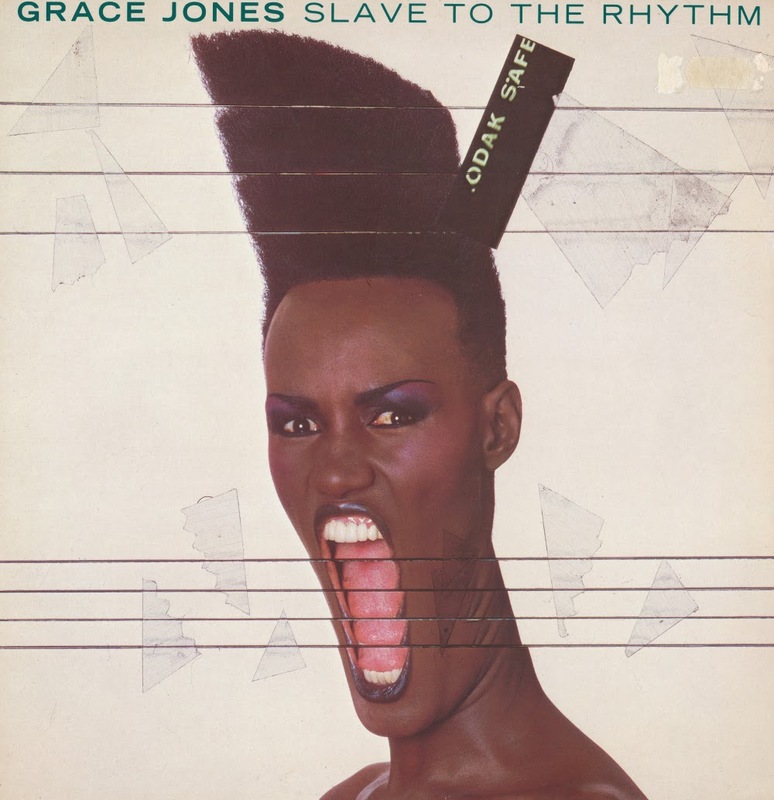 The song did not reach number one but is still a favourite among fans of Grace Jones and Trevor Horn. 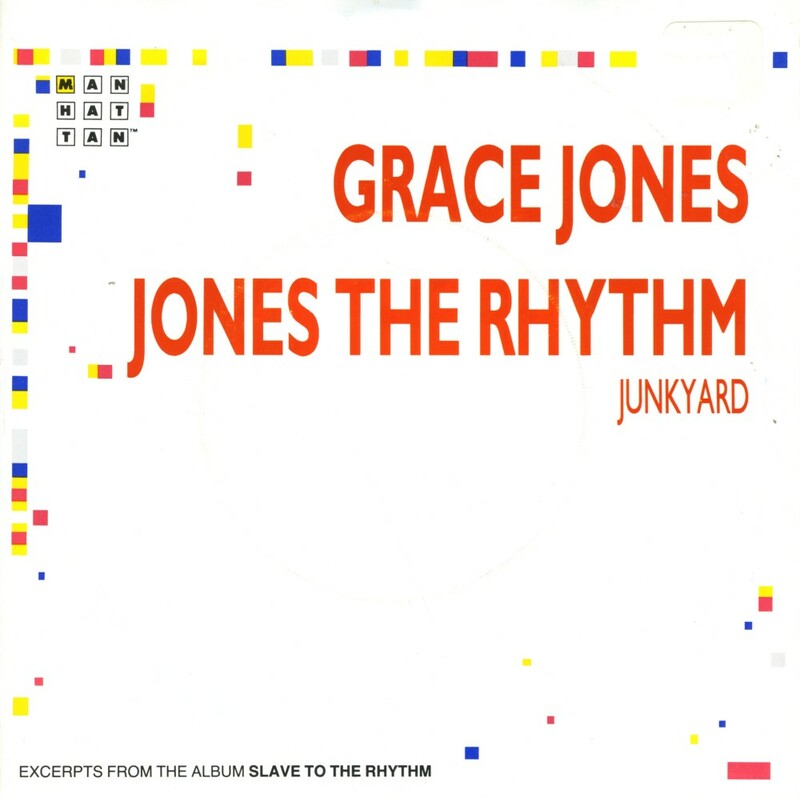 The single version of 'Slave to the rhythm' is a version of the album track 'Ladies and Gentlemen: Miss Grace Jones', the closing song of the album. The B-side 'G.I. 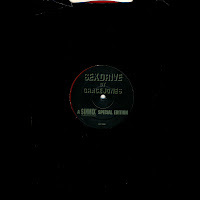 Blues' on this single is alternatively known as 'Annihilated Rhythm'. 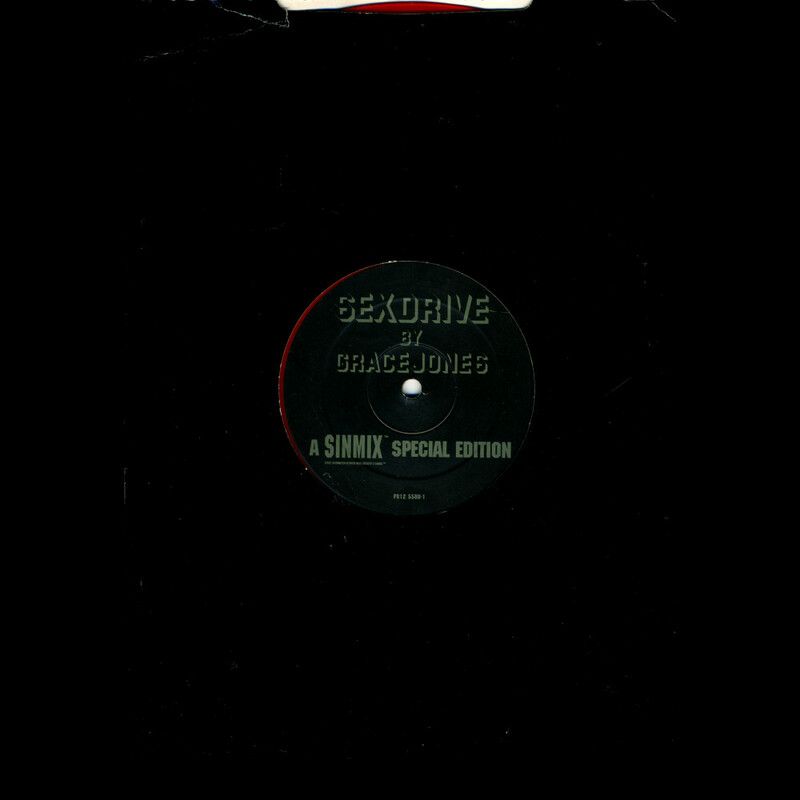 The single was re-released in 1994 and there were several different 12" singles and remixes available of that release. I bought my copy of this single in fact today, as part of a collection of 18 singles in a second hand shop in my hometown. Sometimes all a man needs is a good stack of vinyl to perk up his mood. 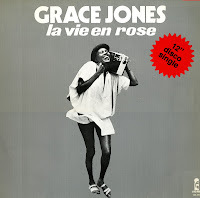 Grace Jones has recently released a new album, entitled 'Hurricane'. I was quite surprised when I found about that last month, because I figured she'd just stopped making music years ago. 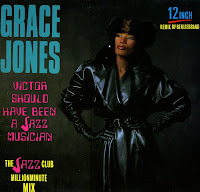 The last Grace Jones record I bought, only a couple of years ago, was the 12" vinyl of 'Victor should have been a jazz musician'. There were really two reasons: it was cheap (only 1 euro), and both the A-side and the B-side - 'I'm not perfect (but I'm perfect for you)' - were remixed by Ben Liebrand. And Ben Liebrand was responsible for many interesting remixes in the 1980's. I was less impressed with the tracks themselves when they were released. 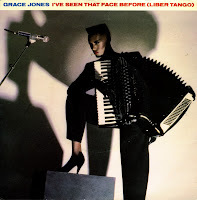 To me, Grace Jones peaked with 'Slave to the rhythm', and then faded into obscurity. But I have to admit I was wrong. 'Victor should have been a jazz musician' is not only a great title (it's up there with 'You will always find me in the kitchen at parties' and 'I don't know what you want but I can't give it anymore'), but also a classy, cool track. The remixes, then. Ben Liebrand did a reasonable job on 'Victor', but the remix of 'I'm not perfect' is slightly too manic for me. Download: Victor should have been a jazz musician, I'm not perfect (But I'm perfect for you).